Are you unable to send emails, see pictures or read on the computer because of a vision impairment? iZoom is here to help. iZoom can enlarge everything on your computer screen, change colors, read web pages using natural sounding voices and more! Most low vision screen magnifiers today offer a USB version, but all of them require administrative privileges to install some software before they can run. Odds are if you’re using a public computer, you won’t be granted installation rights. Moreover, a computer can be a very personal possession and others won’t appreciate you installing software on it. 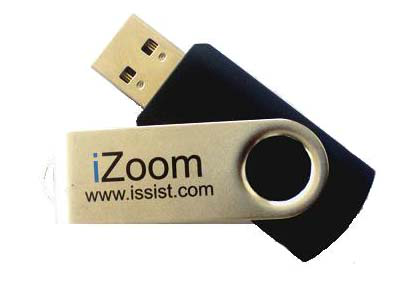 iZoom USB is not locked down to a machine! You can attach it to your keychain and take it with you anywhere you go. All your settings are saved on the USB drive so you don’t have to reconfigure it on every new machine. You simply plug it in and it starts up. No installation, no administrative access, no license agreements, no hassles. It simply works! So the next time you get on a machine at your library, school, a friend’s place, you can relax knowing that their machine isn’t affected and you can use it as freely as you would your own. 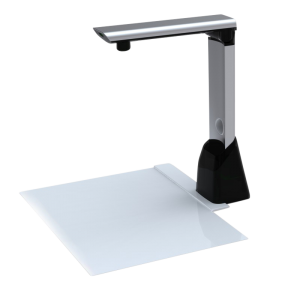 ReadDesk is a simple scanning, reading and magnifying device with all the features needed to make reading easy. It has instant text to speech capabilities. At less than 1.5 lb, ReadDesk is smaller than a A4 sheet of paper and folds into a laptop bag. One of the smallest, most affordable OCR products in the market ReadDesk makes daily reading a joy. Scan, read, magnify, save and listen to any printed material in a natural sounding voice. Connect it to a laptop/desktop and view magnified text with crystal clear font. Once your scanned material is in a PDF format you can load it onto other programs. The MP3 format makes it easy to access your printed material on the go. Listen to your book when you travel, review your documents while cooking. ReadDesk Plus version plays to your strengths – hearing rather than reading. Combining the best in Infrared and X10 remote controls, the Pilot Pro brings the freedom of natural speech to appliances throughout the home. With the Pilot Pro, spoken commands are used for remote control of numerous devices in multiple environments. Control a television, telephone, lights, door systems, and more with simple, intuitive commands like, "TV... On" or "Channel... Up". 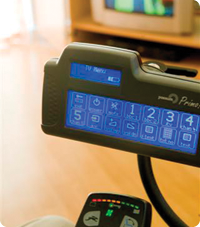 Pilot Pro is portable and programmable, meeting the needs of users at home, in the office, or within a healthcare facility. And its accessible - with switch scanning and 96 unique commands, arranged to suit the specific needs of your environment. Possum Primo! is a popular, easy-to-use, affordable dynamic device providing remote control of the immediate environment to give independence and reassurance for users and caregivers. Every Primo! system is tailored to meet the exact needs of each individual and can be adapted as users’ needs change. Primo! 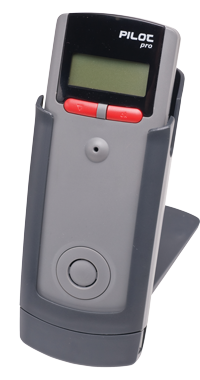 can be used as a simple system providing a limited number of functions or can be configured to control a comprehensive environmental control system incorporating remote control telephones, intercoms as well as many other items. Cling! products use powerful suction to produce a super-strong hold on any flat surface. With a simple push, Cling! stays where you want it. When it's time to move, simply lift any corner. Cling! releases its hold with no leftover residue. Products include Velcro® pads. Perfect for fixing switches and small devices in any flat position. The Cling! Plate is perfect for fixing switches and small devices in any flat position. With the Cling! ARM, you'll add a small rotating arm that can be fixed in any position within a half-sphere range. Cling! products include Velcro® pads and are a great solution for tabletops and lap trays. Cling! 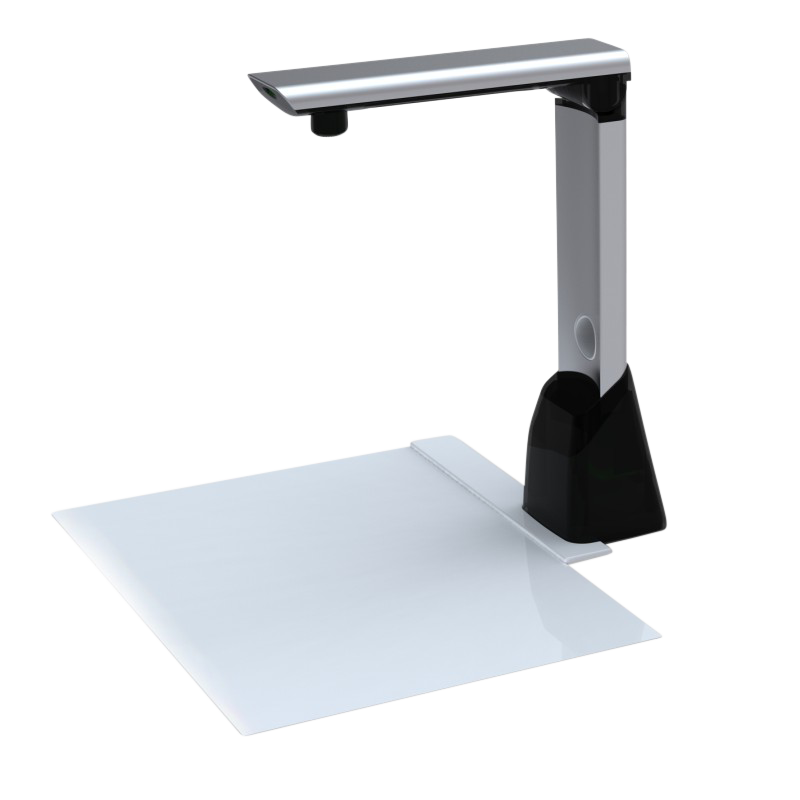 EVAL includes the Plate and Arm pieces, along with a collection of interchangeable surface plates for mounting a variety of devices. Cling! products include Velcro® pads and are a great solution for tabletops and lap trays.